How to make a pomander doesn't always involve "how" . . . but "how many flowers do I need?". What size Oasis Sphere you use depends on how large the final design is to be and whether it is to be carried or placed as table decor. Thoroughly soaked foam spheres can be very heavy, that's why flower girls should never have a foam ball any larger than 3 inches. 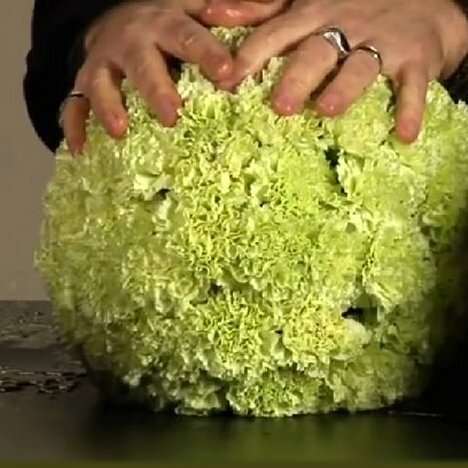 The combination of the foam, water and flowers can be heavier than you think. 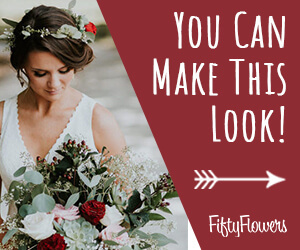 If you want a larger attendant bouquet, you can either go up to a 4" or make the flower stems longer. Here's a basic guideline on how to make a pomander. If you plan to flatten the bottom and place on a clear Lomey Dish to use as centerpieces, you'll need less flowers. Standing Spheres take about 2/3 the flowers listed below for a flattened bottomed sphere. Please note that these are estimates. Total flowers needed always depends on the actual size of the flower heads used.